Why the Chadian Opposition is Weak? 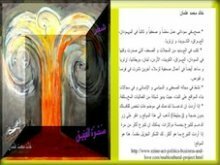 (المعارضة التشادية ضعيفة لهذه الاسباب)! The Chadian opposition is not united, because of the following arguments. First, it has different political visions, some of which are not purely national and commonly it lacks the rational political thinking of the state as a secular concept that does not function with the tribal and religious interference in politics. That is what causes the unrest in Chad, although the status quo of the normal daily life sometimes indicates some levels of stability. That is not the real picture, as we could see through the following flow of the political events since the independence of Chad. Successive unrest in Chad will again trap this African country and make the ﻿Chadian Political Scene﻿ worse, as long as the program of the so-called government of national salvation based on the ideal contrast: tribal and Islam continues. The Chadian Political History shows much of the unrest in the past. Surprisingly, the unrest began just few years after the independence of the country and the announcement of the Democratic Republic of Chad, which proves after decades of the independence that the democracy does not exist. Almost all of the national governments have faced different people's uprising. Like the former governments, the recent government still announces very time after the use of violence and during different states of emergency that the curfews are lifted. However, the tension will be consecutively reserved as long as the Chadian opposition continues to lack the right political vision to see the political factors as a whole as the main issues that contribute to the deterioration of the state. That indicates the opposition in Tchad lacks also the solid ground based on the unity in diversity, the acknowledgement that the composition of tribalism and religion is the cause of fragmentation and the unity in viewing the state as a secular concept is the ultimate solution to the problems of the state. You can read more highlights in Arabic that explain the deterioration in Chad through history, or continue, if you couldn't read the Arabic pages at https://www.hoa-politicalscene.com/tchad.html (link above), https://www.hoa-politicalscene.com/are-you-intellectual23.html, https://www.hoa-politicalscene.com/are-you-intellectual24.html and https://www.hoa-politicalscene.com/are-you-intellectual25.html. The Chadian Opposition Must Be Secular! Without having such clue, the Chadian opposition would be circling in a hollow circle and would absolutely lose the sole ground of existence. In fact, this escalates the Chadian Political Problems. UNLESS the Chdian opposition be secular, they will never gain any foot on the political ground in Chad. It is obvious that the fronts of the opposition lack strong presence in Chad because they are influenced by different neighboring states and thus play the opposition roles in terms of the agendas of these countries. So, it is not only the ground of unity the opposition lacks, but also the land. It appears that Chad crisis is the opposition crisis, but not the regime, which is already known as dictatorial regime. The opposition in Chad has in turn started wrong from the bases of tribalism and religion. The regime is absolutely not democratic and is only busy in serving its own interests by keeping the opposition in Chad divided and escalating the differences between the tribes and posturing religious culture. So, why the Chadian opposition has no longer the awareness of the national unity, the values of separating the tribal and religious orientations from the state and the factors of building modern civilized state based on the values of human laws? It is surprisingly that the number of the victims of the conflicts within the Chadian opposition is over the number of the victims the opposition has during confrontations with the successive regimes. Perhaps, the regime plays on this ground to weaken the opposition. But, that is not the excuse for the opposition to continue fighting against each fragment of it. In addition, the opposition is not able through history until now to inspire the components of the Chadian arena, especially after the exit of the French colonialism in 1960 to develop a national program of alternative inheritance and work to defect the effects of the colonial conditions and sometimes the whims of the neighboring countries. The paradox of the opposition is that the opposition has been unable to inspire the components of the Chadian particular scene after the departure of France in 1960. It does not develop the alternative national programme to replace the colonial legacy and the impacts of the conditions and sometimes the whims of the neighboring countries. It is not only that the Chadian opposition has been inspired by the legacy and capriccio of both the colonizing power and the neighboring countries collectively, which can be said here, but, it has also been inspired by tribal and religious bias, despite that it is well known of such composition to erupt the state. Through many confrontations many fragments of the opposition have entered the tribe, religion and racism in the conflict including creating the violent clashes, which continued for a long time thinking that they will only build the modern Chad this way. For these reasons, many people who carried successive uprisings could not find unified opposition forces which are able to attract and guide the uprisings until the triumph of Chadian Street. That means, there are still people who have good national vision and know what their state lacks and are very sure of the demands of the democratic secular state. 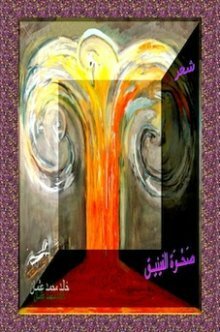 These uprisings, as a whole are uprisings of rage because of the injustice and poor economic conditions and the distinction based by the name of religion and once again, by the name of the tribe, or on behalf of it. In contrary, the regime accuses uprising elements sometimes of tribalism, despite that the regime is the sole responsible foundation of tribalism combined with religion, all of which the regime itself has planted in the system of the Chadian soil, following the policies of the former regimes since the independence of Chad. All of this explains that Chad is still exposed to different coups, unless the Chadian opposition retreats to think wisely of the values of the modern, civilized, democratic and secular state and then composes its national anthem accordingly to achieve building this kind of state. According to the fact that the Chadian opposition lacks such national values, we found that even when the opposition comes to power through arms sometimes, it becomes subjected to coups. The coups explain that the Chadian course still exists and is severely exposed to irrational national bias. That way, it looks pretty amazing, but what we can say? This is Africa, especially when this country or that insists on the complete alienation from the values of Africanism, as if Africanism is a shame or outrage. This happens also when the parties in the opposition forget their programs during the period the opposition functions, or when the programs succeed and take one of them to claim the political power. Surprisingly, when the party takes the power, instead of implementing the national programs, which took the party to the power, the party enjoys the political power and forgets the pain of the mass. Well, this does not happen only in Africa, but we see it even in well civilized and modern states in Europe too. France in particular thinks of its interests in Chad, so it has still around 1,000 French soldiers in Chad to provide military and logistic help to the regime and the president of the dictatorial regime relies on all of that to conquer the Chadian opposition. Idriss Deby knows that France is concerned of the regional stability in its Francophone sphere and when Chad collapses the entire stability of the region including Lake Chad may collapse. Nevertheless, some problems associated with the French economical interests have happened and threatened the Chadian-French relations when Chad signed the oil drilling agreement and granted the rights to the American Exxon company in 1999. The Chadian opposition presented through the operations of the Chadian Union of Resistance Forces (UFR), which has about 6,600 fighters and 330 gun vehicles work to overthrow the Chadian regime. It does not have a comprehensive national program other than overthrowing the regime. But, what is next is only planned to replace the manpower of the recent government by elements working with the Chadian Union of Resistance Forces. That seems as personal interests in power. The Movement for Justice and Democracy in Chad (MDJT) launches other operations against the troops of the regime since 2003, but they also lack the modern national program to build a new system orientated towards creating awareness, erasing the political absenteeism, educating the people and building modern secular state. The other Chadian opposition working through the United Front for Democratic Change (FUC) has already decided to share the power after the Chadian peace agreement in 2007 and its troops were dissolved gradually in the army of the regime. The other Chadian opposition working within the fractions of the Janjaweed rebel created by the Sudanese military religious regime has not national vision and it is only elements used by the regime in Khartoum to create the unrest, which Chad continues to face. See Darfur, Darfur Crisis, Darfur Rebels and Fur, for more information. Continue at the Chadian Course. Share the Chadian opposition with your social media network and Forward HOA PoliticalScene to your friends to do so. Thanks. 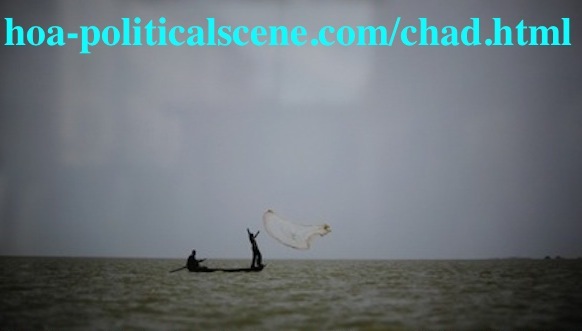 Use the comments form below to comment on the Chadian opposition, or to write about it. Comments on the Chadian opposition, or articles about the opposition in Chad appear at the second section of the pages above.